The hilltop temple, with its seven-storey 21.6m-tall gopuram (main tower), has been touted as the largest Lord Murugan temple outside India by its committee chairman. It is expected to receive thousands of visitors from all over the world yearly when completed after almost a decade of construction. Interestingly, the new temple’s features are inspired from the era of the Chola and Pallava kingdoms of India and the crafting work was done by Indian artisans from South India, specially brought in to Penang. The main gateway is about 21.6m in height which is equivalent to a seven-storey high building. Visitors entering the temple’s 70,000sq ft grounds will be greeted by a majestic 8.23m-tall statue of Lord Shiva at the foot of the hill. An 18-ft high crafted teak wood door will be a special feature at the new Arulmigu Balathandayuthapani Hilltop Temple in Waterfall Road here. As visitors reach the top by climbing 511 stairs, they are bound to be amazed by the six pillars inside which represent the six main Murugan temples. The hilltop temple, with its seven-storey 21.6m-tall gopuram (main tower), has been touted as the largest Lord Murugan temple outside India. It is expected to receive thousands of visitors from all over the world yearly when completed after almost a decade of construction. Interestingly, the new temple’s features are inspired from the era of the Chola and Pallava kingdoms of India and the crafting work was done by Indian artisans from South India, specially brought in to Penang. The main gateway is about 21.6m in height which is equivalent to a seven-storey high building. 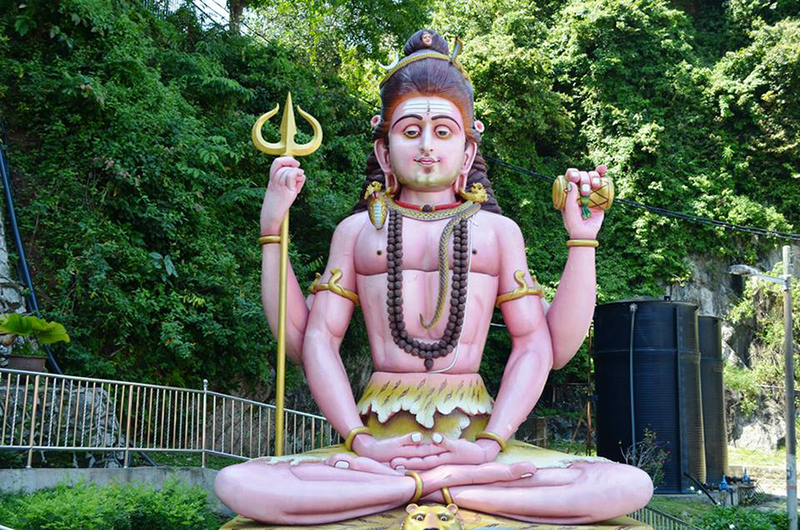 Visitors entering the temple’s 70,000sq ft grounds will be greeted by a majestic 8.23m-tall statue of Lord Shiva at the foot of the hill. An 18-ft high crafted teak wood door will be a special feature at the new Arulmigu Balathandayuthapani Hilltop Temple in Waterfall Road here. As visitors reach the top by climbing 511 stairs, they are bound to be amazed by the six pillars inside which represent the six main Murugan temples. Indian workers who ferried water to Georgetown by way of bullock carts. 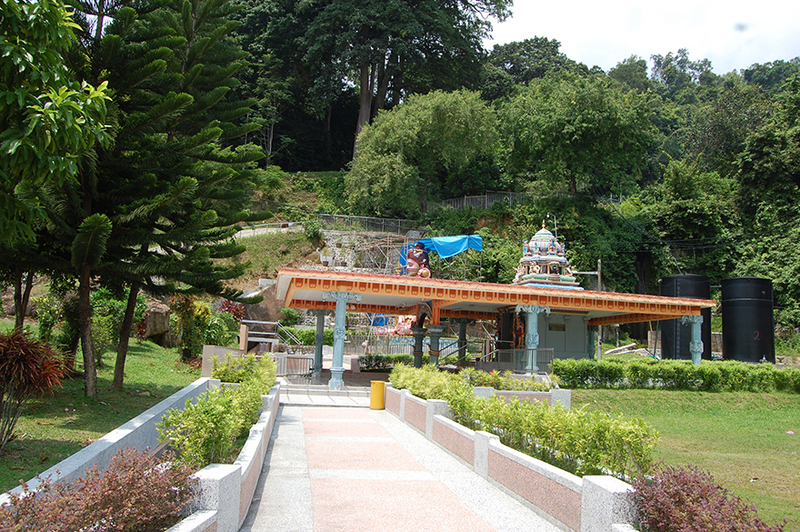 By the early part of 1800 the shrine seemed to have been the focus of Thaipusam celebration, a festival dedicated to Lord Murugan.British records and local newspapers do mention of Hindu devotees celebration the festival. In 1850 with the increase of the local population, the British authorities decided to develop the area into a reservoir. They decided that the waterfall area and the immediate catchment area had to be protected. At the same time they did not want to upset the sentiments of the Hindu population. 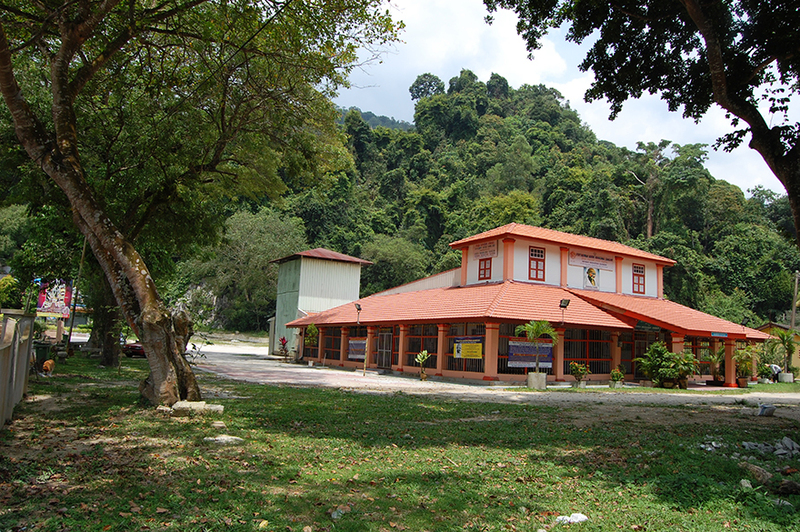 Therefore, they alienated an eleven acre hillside property(the present site) for the location of a proper temple.This is the present site of the Hill Top Murugan temple at Waterfall Road, which has been New Temple Donation Since the the temple has undergone major renovation every mamangam or 12-years cycle as required by Hindu agamic tenets. The present’s temple as it now stands was built sometime in 1850. The present temple is now too small to accommodate the devotees who throng the temple during festivals. The major annual festivals celebrated at the temple are Thaipusam, Chitra Pournami, Kantha Sasti, Peria Karthigai and Aadi Pournami. Due to the congestion, it is now difficult to perform worship rituals effectively and for devotees to perform their prayers. Moreover the present location of the temple makes it difficult for crowd management as there is no place for devotees to rest. The Hindu Endowments Boards then seriously considered either extending the present Temple or building a new one. The Board employed consultants to conduct a feasibility study to build a new Temple at the present site. It was at this juncture that consultant found that the present temple is located over an area where several underground springs flow. Their conclusion was for the temple to be relocated to a safer site away from the present location. The Hindu Endowments Board after considering the various reports, agreed with the management committee’s view that a new temple had to be built at a safer site for the following reasons:- * The present temple is too small to accommodate the ever-growing number of devotees, which swells up to 700,000 during the Thaipusam Festival. 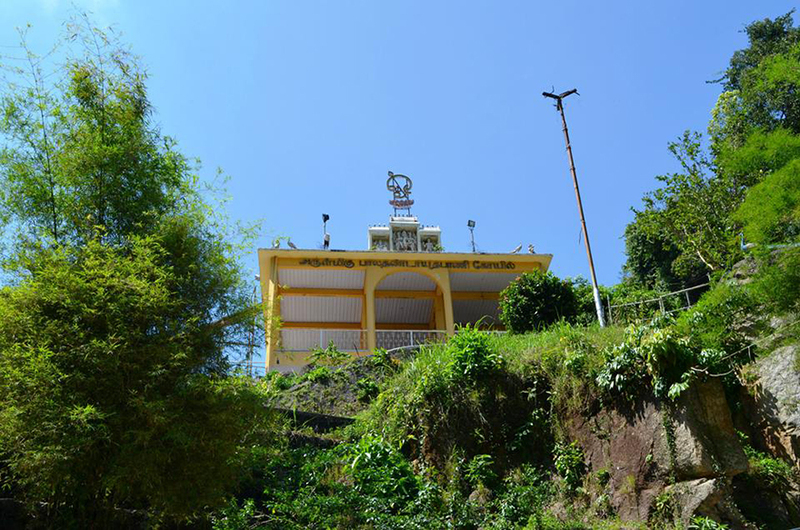 * That due to natural streams flowing below the present Temple the safety of the present structure is of concern. * The present Temple has only a sanctum sanctorum. it does not have a Mahamandapam(a fore hall) as prescrideb by the agamas. * The present temple having been built sometimes in 1850 has been ravagned by the weather.The temple structure is weakened and leaks have sprung in many areas. Piecemeal repairs have been periodically conducted, but these repairs cannot address the inherent weakness of the structures. The Temple Management Commitee then decided to consult a well-known authority on agamic rules and procedures for the building of the Temple. A delegation went to Tamil Nadu in February 2000. They met His Holiness,Sri Jayendra Saraswati Swamiji,and the 69th Pontiff of the Sri Kanchi Kamakoti Peetham.He gave his blessings to delegation members seek the services of world renowned temple architect and Vaastu expert Dr.V.Ganapati Sthapati. 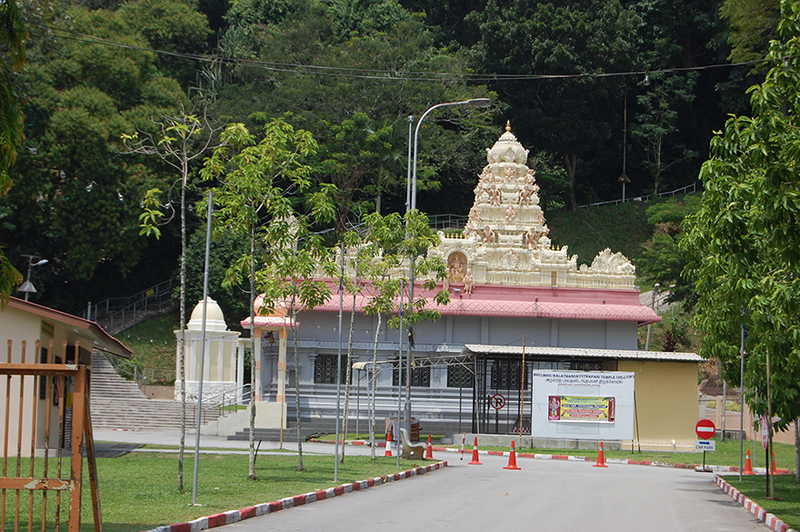 The newly built Arulmigu Balathandayuthapani Kovil, situated in the hills of Jalan Kebun Bunga, Penang; is the Largest Lord Murugan Temple outside of India. The RM10 million cost temple was built to accommodate the growing numbers of devotees, especially during Thaipusam Celebrations. An architect from India, along with 19 temple builders and artisans, spent four years hand-sculpting the temple’s designs on site. The outcome: a beautifully decorated prayer hall, and an intricate 7-storey main tower, almost identical to ancient temples in South India. 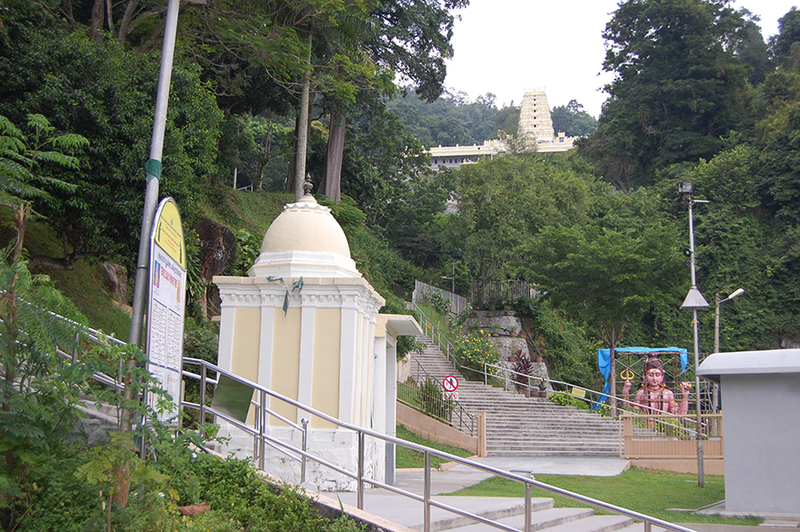 Half way to the top, visitors will arrive at the old Lord Murugan temple, which was built in 1850. 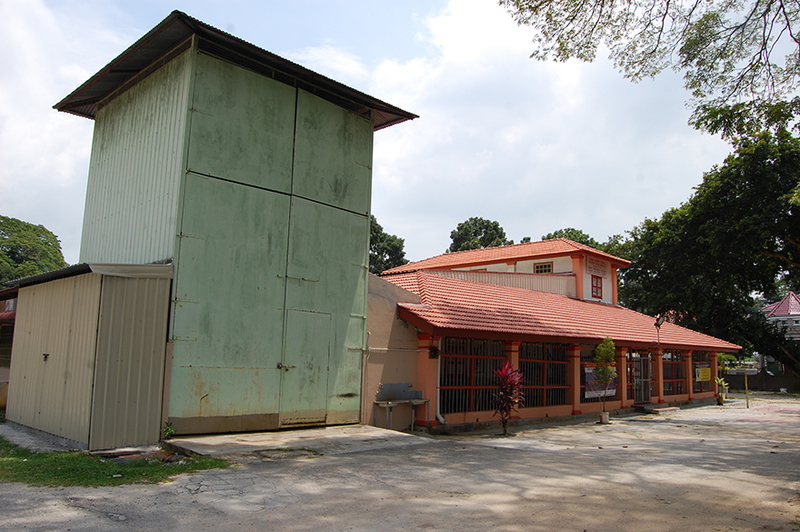 This is the former main venue for Thaipusam celebrations (1850-2012). 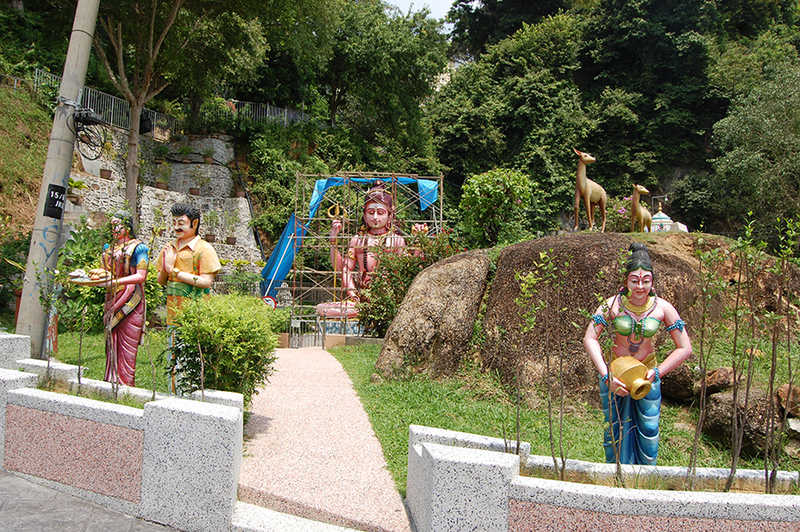 There are many beautiful sculptures and other smaller temples around the Waterfall Temple compound. There is also a small Koi-pond and a mini aviary with colourful birds and peacocks on top of the hill. 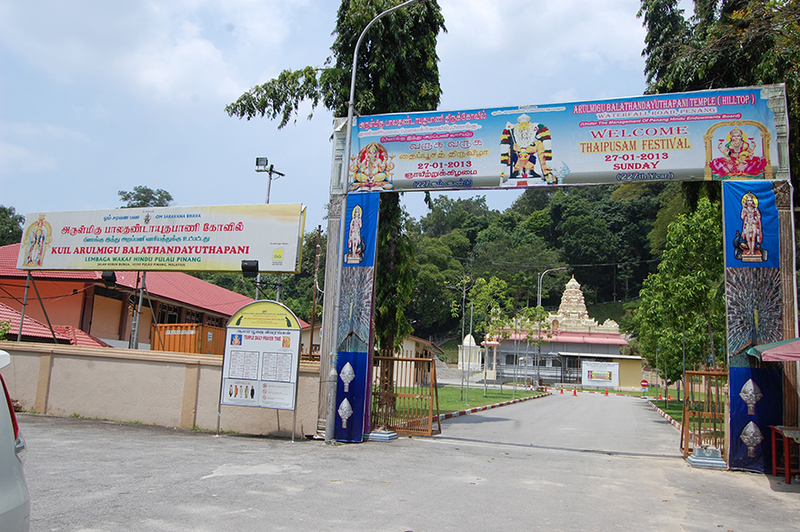 This year, the Thaipusam festival will be held mainly at the Arulmigu Balathandayuthapani Kovil Temple for the first time after its completion. 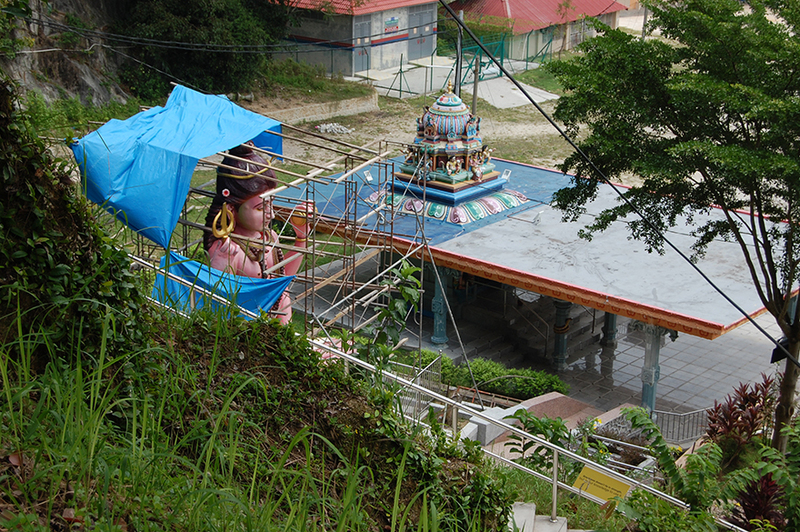 On 27 January, Thaipusam day itself, devotees will embark on a pilgrimage from the temple on Lorong Kulit to this new hilltop temple with offerings of milk pots, or while carrying the Vel Kavadis which is considered as the highest form of offering to god. 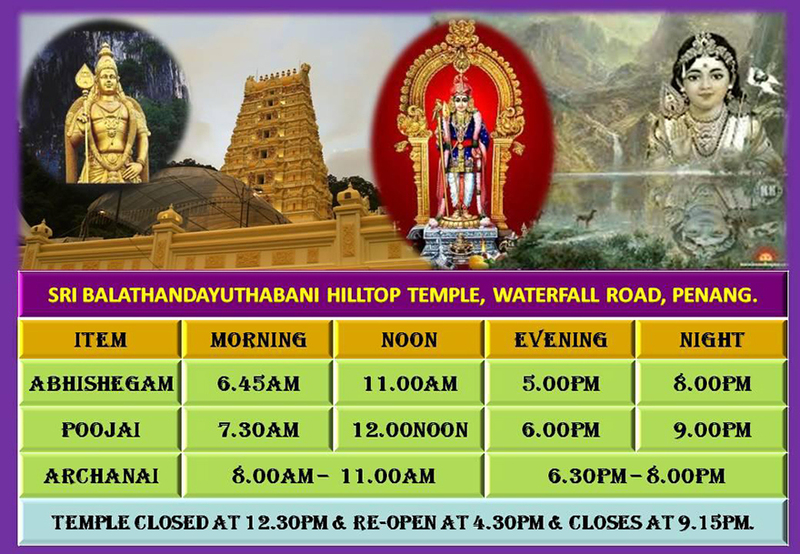 The temple can accommodate up to 800,000 visitors, a number expected for this year’s Thaipusam Festival. and upkeep of its surroundings. 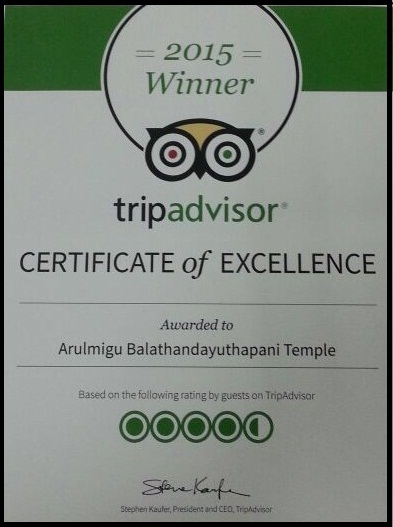 Our temple is the first in the State of Penang to be awarded this prestigious award.